Pregnancy is usually associated with physical and mental exhaustion due to the changes happening in your body. Prenatal yoga is one highly recommended activity for pregnant women who want to prepare for childbirth. It can improve the strength and flexibility of your muscles, and develop proper breathing during labor. 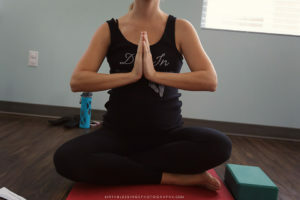 Pregnant women can start performing prenatal yoga as early as they like, but doctors usually recommend starting during your second trimester or after morning sickness has subsided. Unlike regular yoga, prenatal yoga is more conservative to ensure the safety of the mother and the baby. There are limitations on the poses– no inversions, extreme twists and poses that put strain on the belly, and poses lying on your back or stomach. There’s a lot of hormones at play during pregnancy that can cause stressful and anxious feelings. Prenatal yoga can help you relax your mind and body since it promotes wellness and meditation. Pregnant women should opt for Kensho Way yoga cushion or yoga towel to provide them with added comfort and support. Since the body is changing, pregnant women usually complain of headaches, nausea, carpal tunnel syndrome, insomnia and shortness of breath. Since prenatal yoga involves stretching muscles in your body, blood flow is significantly improved. This results in the proper functioning of all systems in the body and therefore decreasing the occurrence of pain and discomfort. Prenatal yoga involves proper breathing and exercises the mind as well to focus and meditate. This is helpful in improving the cognitive health of the mother. Most pregnant women suffer depression and anxiety during this phase in their life. Engaging in prenatal yoga can help to prevent depression and promotes mental and emotional wellness for the expectant mother. 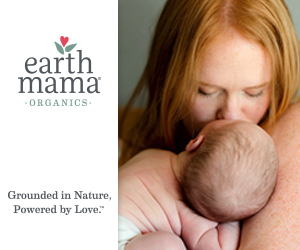 A healthy mother is most likely to have a healthy baby. It’s been proven that mothers that practice yoga during pregnancy are less likely to produce offspring that are premature and have low birth weight. Prenatal yoga can also improve the development of the fetus during the first trimester of pregnancy. As you journey on in your pregnancy, your body also continues to change to support the growing baby inside. Practicing yoga, especially poses and techniques that target the lower body, will strengthen and tone your body enabling you to carry the additional weight on your body. Exercising your muscle strength and flexibility will also help you ease body pain associated with pregnancy. The interesting feature of prenatal yoga is that it aims to strengthen the pelvic muscles. During pregnancy, these muscles are weakened due to the gravitational pressure in the tummy. Prenatal yoga involves lifting and strengthening the pelvic floor which results to easier control during labor and childbirth. It also involves exercising all the muscle groups in the abdomen. Since the tummy is getting bigger to accommodate the growing child, the abdominal muscles are also stretched causing it to get weak. Prenatal poses that target the abdominal muscles are essential to strengthen them. Make sure to check with your instructor first before engaging in these exercises especially if you are in the early phase of pregnancy. Some women want their childbirth to be natural or free of epidural and pain relief as much as possible. This can be achieved by enrolling to prenatal yoga. Breathing and meditation techniques involved in this activity will help the mother to perform deep and mindful breathing and proper body relaxation when experiencing labor pains. 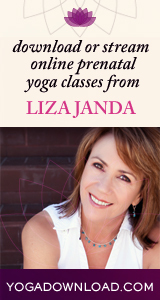 Enrolling in prenatal yoga classes allows you to interact with other expecting mothers. A good support system is essential especially if you’re pregnant. This can be fulfilled by joining yoga classes, where you can bond and learn from other mothers about their preparation and experiences during pregnancy. A social connection also contributes to the overall wellness of a pregnant woman. There are a lot of benefits of prenatal yoga for both the mother and unborn child. But before you try this activity, make sure to consult with your doctor if you’re fit to do this exercise. Make sure that you’re always careful and hydrated when you’re doing prenatal yoga. There’s also poses that you need to avoid, so make sure to check with your instructor if it’s okay to do it. Stop immediately if you’re experiencing even the slightest discomfort or pain when performing the exercise.